The Klim Induction Jacket was Klim's first step away from waterproof ADV gear, and into the fair weather protection realm. 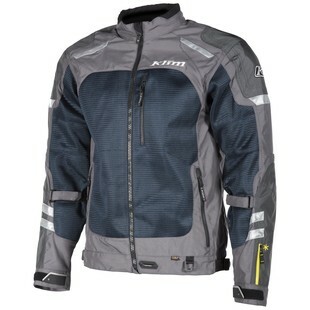 This being Klim though, the original Induction jacket was appreciably overbuilt and quickly became a perennial favorite as the pinnacle mesh riding jacket. For 2017, Klim listened to customer feedback and ditched the waterproof inner liner and shaved down the price to match, offering an even better value. Klim is known for their legendary, tough and rugged construction, and the Induction is no different. 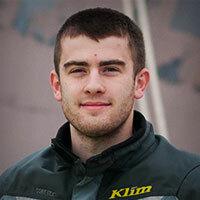 The Klim Induction Jacket combines the same quality 840D Cordura construction used in Klim's Gore-Tex jackets with their latest Karbonite Mesh, which is over 700% stronger than the polyester some competitors use. Just like the outgoing Induction, the 2017 model comes with D3O armor in the elbows, shoulders and back. Last but not least, Klim increased the color options for the 2017 Induction jacket by 100%! Not too hard when the original was only available in two colorways, but the addition of Grey/Silver and Grey/Blue options are certainly appreciated. As was the case with the outgoing version, no longer will a little heat get between you and your next adventure.